Color seems so obvious. What many of us don’t realize is that psychologically, perhaps even subliminally, color influences decisions we make every day. Here, we explore 3 ways color psychology, operates in stealth-like fashion. The psychology of color is often overlooked as an influence in the decisions we make every day. Here’s a color psychology game you absolutely must try called the Stroop Effect. As Psychology Today author Scott G. Eberle, Ph.D. puts it, “the Stroop Effect messes with your mind.” Though the word-interference effect was used to suss out Russian spies during the Cold War era, it’s a revealing look into the way the mind processes color and words. Try it, and see if you’re more clever, than the Russian spies. 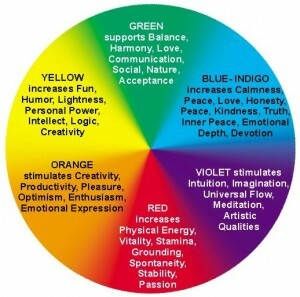 Interested in learning more about color psychology? Subscribe to the Munsell Color Blog to learn more about how color is used in everyday applications… including a few not-so-everyday, “space age” applications. Create spaces that work for your family, don’t have to be different colors in each room for walls but maybe different accent colors for mood you’re working on each room. Bright colors for more active spaces. You don’t have to use different colors, it’s just an option. You can easily just add color accents (pillows, drapes, etc) to create the color theme of the room. Wow, this can really help starting my own marketing campaign for my online company. Would green, red and black be attractive? It would be colors on my product logo for my other site.